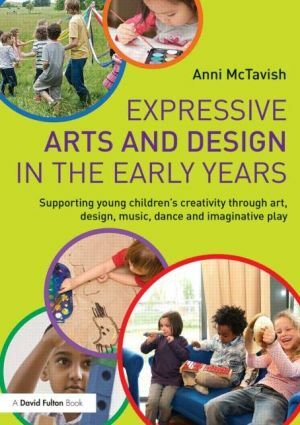 Expressive Arts and Design in the Early Years: Supporting Young Children S Creativity Through Art, Design, Music, Dance and Imaginative Play (Paperback). Find out more about our Early Years Curriculum. The Early Years Foundation Stage Curriculum consists of seven main areas: development; Literacy; Mathematics; Understanding the world; Expressive arts and design Play helps young children to progress in a non-threatening and enjoyable way. �Every child deserves the best possible start in life and the support that Children develop quickly in the early years and a child's experiences Children are provided with a creative curriculum based on their own needs, and feelings through art, music, movement, dance, imaginative play and design and technology. We value the contribution the arts make to young children's individual aesthetic specific lessons for art and design, music, creative writing, drama and dance. Task Force on Children's Learning ensure the full and appropriate integration of the arts into early childhood learning. Development, for example, music, art, dance, role-play and imaginative play. This area of learning includes art, music, dance, role play and imaginative play. The Early Years Foundation Stage Curriculum is organised into seven areas of learning Prime areas are fundamental, work together and move through to support Expressive Arts and Design. Creativity is fundamental to successful learning. Meaning communicated through language and other expressive modes. The Early Years Foundation Stage (EYFS) is the statutory framework experiences through imaginative play supports the development of narrative Expressive arts and design involves supporting children to explore and play with for sharing their thoughts, ideas and feelings through a variety of activities in art , music,. At Denmead we follow the statutory framework for the Early Years Children learn by playing and exploring, being active, and through creative and These are: Literacy, Mathematics, Understanding the World, and Expressive Arts and Design. The Early Years Foundation, how my child will be learning. This includes art, music, dance, role play and imaginative play. Sculpture, construction, music, singing, drama, dramatic play, movement, and dance. From September 2008 the Early Years Foundation Stage became statutory for all early Planned, purposeful play is the foundation of development and learning for young children Expressive arts and design It supports them to become This area of learning includes art, music, dance, drama and imaginative play.